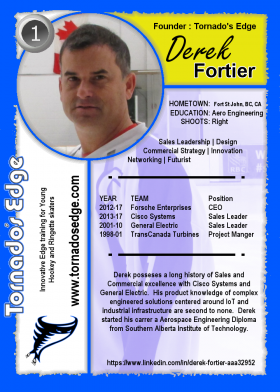 The concept of Tornado's Edge started with Derek Fortier's role as a Father and hockey coach. 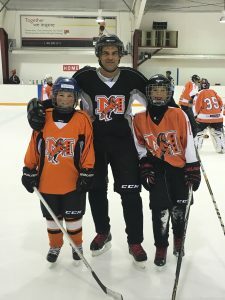 His sons had very different comfort levels when they were learning to skate. Just like any parent would do, Derek knew he had to change his approach for his one son that was diagnosed on the autism spectrum. By supporting his son with a hockey stick, the fear of falling was removed. Derek could then instruct his son to position and move his feet to stride and crossover. He realized at the time that other kids can learn more quickly with this technique. A systematic approach to this method percolated in Derek's head for a couple years. Everything changed in the summer of 2016 when Gerard, a long time friend, moved back to Calgary. This time, the two single Dads were dealing with financial pressure in a difficult employment environment. Derek was done thinking and he wanted to make a device that would help young skaters learn how to do crossovers and refine edge techniques. He collaborated the concept with Gerard and a mutual friend from their Aerospace industry past. In a very short time, a prototype was designed and fabricated. The first on-ice trial of the trainer was a huge success. It was known at that time there was merit to this new innovation. With the help of local manufacturing/fabrication, the entrepreneur train was in motion. In 2016, Calgary's economy was a challenge for many, and knowing that a difference can be made while providing our youth with a great tool was a win-win! The success of the trainer was very rapid. The versatility of the innovation keeps surprising the founders. Applications keep evolving in hockey, ringette, figure skating, rollerblading, and speed skating. The supporting nature of the trainer assists young skaters, individuals with physical disabilities, adults needing extra support, seniors relying on support, individuals with vision impairment. The trainer expands the ability for everyone to have an enhanced ice experience. 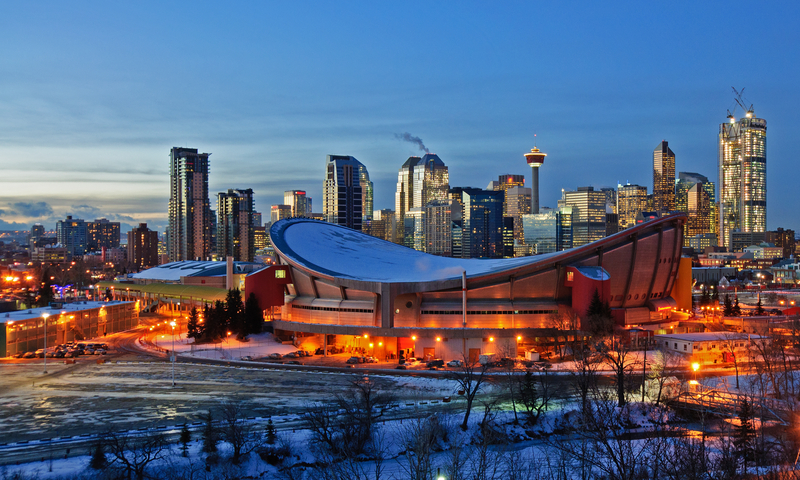 Located in beautiful Calgary, Canada, Forsche Enterprises shares its presence with a huge hockey culture and a dynamic high tech environment. The combination of great lifestyle and amazing creative city allowed Forsche Enterprises LTD. to create this transformative innovation. We have received incredible support from the Flames Foundation, Hockey Calgary, and all the Minor Hockey Associations. Derek launched Forsche Enterprises LTD (FEL) and Forsche Innovations LTD (FIL) to provide sales support to companies with products targeting the Oil & Gas, Water, and Energy sectors. The FIL organization has been developing an innovative engineered proppant solution that is currently in pre-pilot phase until the energy industry rebounds. With the slowdown, the team focused on a skate trainer innovation in FEL. 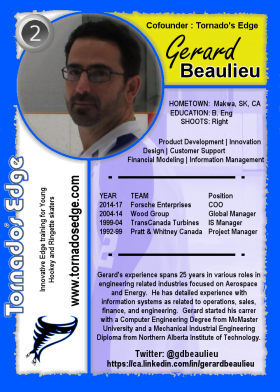 Tornado’s Edge was conceived by Derek and progressed using Derek’s knowledge of the hockey world. Derek has also been positioning FEL to take advantage of the IoT space in the Alberta marketplace. Gerard joined Forsche Enterprises LTD (FEL) in the Q3 2016 when business development of the Tornado’s Edge product was given priority. The branding, business modeling, marketing, and social media was the responsibility of Gerard. Forsche Innovations LTD (FIL) was the first venture that Gerard and Derek were primary operators for O&G innovation concepts.